CH Consulting Group is here when you are ready to expand your business or realign company resources. Whether buying or selling, we can help you successfully navigate through the acquisition process. Our team has more than one billion hours of managed dialing experience and more than 170 years of experience working with call centers across industries. In short, we know a lot of people, which is an invaluable resource in any industry. Looking to buy or sell? You’ve come to the right place. We’ll connect you with the acquisition partners that make sense for your business. Before you begin a search that may cost you time and needless money, let CH Consulting Group take the lead. We will not only locate businesses for you but conduct a thorough cost analysis and modeling for your review. Are you ready to expand or liquidate? 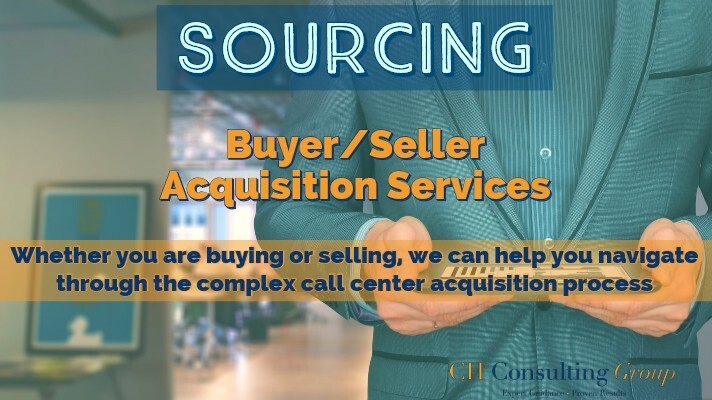 Let CH Consulting Group be the ones to help you either expand your organization through an acquisition or liquidate and sell your operation. Fill out a proposal today and we will get in contact with you as soon as possible!